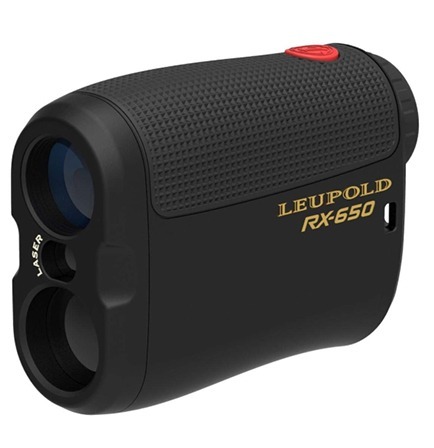 In hunting, in golfing and in archery, all the three outdoor sports are in urgent need of rangefinders, and here comes Leupold. 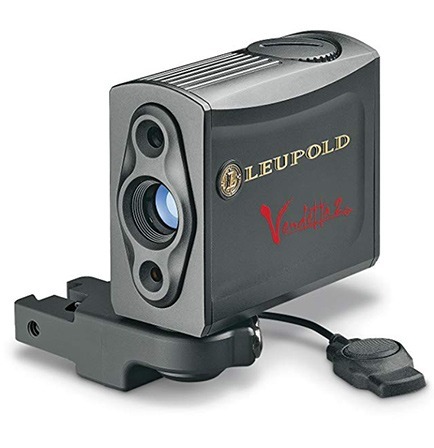 Leupold is a leading brand of laser rangefinder that comparable to Bushnell and Nikon, it has long producing history and is widely praised by customers all around the world. In this article, we will give you detailed Leupold rangefinder review. 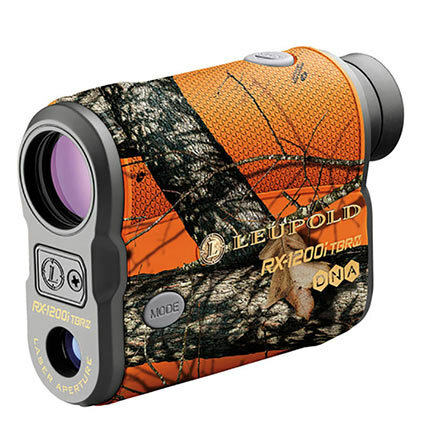 Leupold is a family business that origins from 1907, it started with water level recorder. In 1940, Marcus Leupold missed a buck because his scope fogged up, since then, he determined to make a better scope and that was exactly when Leupold expanded its business in scope. In 1947, Leupold company built its first fog proof scope. After that, it introduced now-calssic duplex reticle. 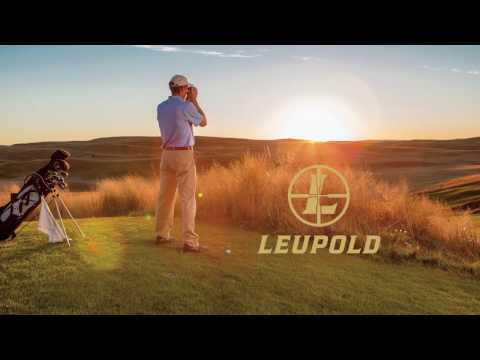 With constant innovation, Leupold invented industrial scope, golf rangefinder, binoculars and all other types. The most worth mention feature of Leupold is its fog resistant system, it evacuated the air out of scope’s interior and filled it with pure nitrogen, making it impossible to react to sudden changes in temperature. Therefore, if you frequently use rangefinders in complex conditions, you can choose Leupold. After getting enough knowledge on its history, we would like to give a great praise on its after sale service. As is known to us, for rangefinders on sale on the market, normal warranty is two years. However, Leupold lasts its actual service time to life long. 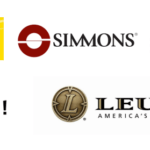 According to users, Leupold is still providing free problem solution service even after several years. In a word, Leupold is a worth trusting brand. 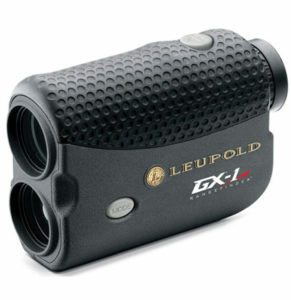 As for its products, we will introduce several top rated Leupold rangefinder in golf, hunting and archery. On choosing, you should always determine by your own needs and budget. Leupold rangefinder first started its business in scope, used in industry and hunting. After that, it expanded its business in golf rangefinder and got wide praise among customers. 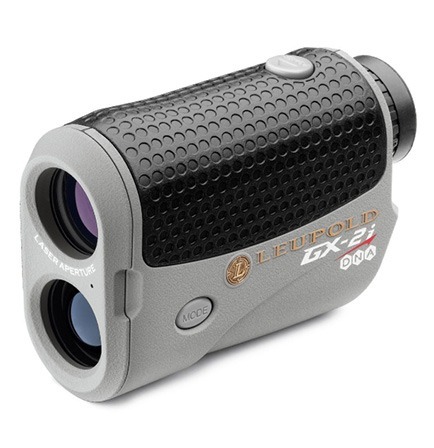 Rx series Leupold rangefinders are normally used as golf device, they work well in getting flag sticks and have accurate readings pretty soon. This laser rangefinder is both waterproof and fog proof, able to be used in various situations for outdoor life and entertainment. It is a quite simple and is an entry level laser rangefinder. Powered by readily available CR2 battery, it can be used pretty long. Maximum distance range is 650 yards, with fully multicoated optics and 6x magnification, you can get a natural and clear view in golf and hunting. It is pretty small and compact, that you can easily put it into your pocket. With soft rubber grip, it feels excellent in hands. Any cons? Well, it is a bit hard on keeping on one object for long time, and short eye relief can be a trouble thing for users with glasses. But what worth mentions most is its cheap and affordable price, it suits people who lack enough budget but want one meeting basic functions. This unit is also water proof and fog proof, that can be used in all fields of conditions. Durable aluminum housing is shrouded in a rubber armor coating to provide a positive grasp. Its ergonomic shape design makes it pretty steady and comfortable in hands. It has a built-in inclinometer with TBR that calculates ballistic range to your target, which serves features as angle compensation, making it possible to be used for both bow and rifle hunting. With only one button, you are able to control it easily in case of getting trouble in adjusting different modes all the time. Its fully multi-coated lens system gives you brightness on clear and natural views. However, it also adopts black display, therefore is quite hard to recognize in dark light. Dimensions 3.8" x 1.3" x 2.8"
This is a large range distance device that can be used for long distance hunting, it allows archers to obtain True Ballistic Range readings to 125 yards. It has built in inclinometer technology to calculate ballistic range and display it as holdover aim point. Red OLED display offers you bright and clear distance reading in all sorts of light conditions. By the way, it shows distance both in yard and meter. 6x magnification offers you great using experience in long distance hunting. As a Leupold mid range range finder, it is surly water resistant and fog resistant, so you do not need to worry about unit getting fogged that missed great chance for hunting. For golf course or amateur game, there is additional function on showing angle compensation, which calculate and adjust horizontal distance without adjusting your positions. From appearance of this rangefinder, we could judge directly that it is used for hunting and archery. Of course it can also be used as golf rangefinder if you want. It has long distance range, reaching up to 1200 yards, meeting the demand of long distance hunting. Fully multicoated lenses reduce loss of light and improve the brightness of distance reading on screen, together with its red color display, you can get fast and pretty clear readout. The eye relief is 14mm, quite low for users with glasses to use. Designed as one button, you do not have trouble on changing modes and settings. It provides true ballistic range distance for either rifle and archery mode. Ergonomic shape with rubberized grip make it feel good in hand, and small compact shape suits your pocket perfectly. GX series normally have large distance range, some reaching up to 1000 or even 1200 yards, which make them suitable for hunting use. 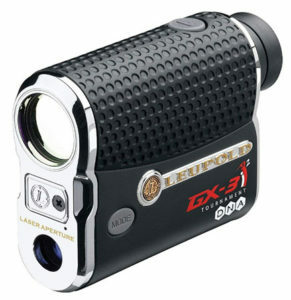 This Leupold range finder is a high end type with multiple functions and excellent working performance. With 6x magnification, you can get a wide field of view on tracking game. DNA (digitally enhanced accuracy) enables to provide clear and precise distance reading in just a few seconds. Fully multicoated lens system ensures maximum brightness. If you would like to get fast distance readings on multiple objects, its one touch Scan mode can help you a lot. By pressing button, you are able to constantly get update accurate distance measurements. When using for tournament play, its wonderful slope system can be turned off. It is pretty accurate and fast in getting distance reading, but do take longer to lock on objects than other brands. This rangefinder is quite the same as GX 5i3 type, but is cheaper and less functional than that. Equipped with DNA technology, it gets yardage pretty soon and accurate. It has solid aluminum housing in rubber armor, together with fog and water resistant feature, it feels quite good in hand and can be used in all sorts of using conditions. Red OLED display is lighter and more easily recognized compared with common black display. When locking in onto specific object, there is a beep and reticle that shows on display screen instead of vibration or sound as Bushnell rangefinders do. Because of its scan mode, you can continuously get updated distance measurement on multiple objects by constantly pressing button down. This one is another mid range range finder of Leupold that comparable with Bushnell Tour X and Tour V4 Slope because of similar price level and performance. Digitally Enhanced Accuracy system, known as DNA system, makes it measure distance of object accurate and super fast, takes only about few seconds. Prism Lock Technology ensures the exact distance. The optics are pretty clear and in good quality, multicoated lenses minimize loss of light as much as possible, ensuring brightness of display. Red OLED display helps you to read the distance reading pretty clear. When it locks in onto objects, there are three selectable aiming reticles showing on the screen. If you want to get horizontal distance on uphill or downhill play, its slope technology can be very helpful, it quickly becomes a tournament legal device by changing faceplate. This unit inherits classic shape of Leupold rangefinder, ergonomic and rubberized grip makes it feel wonderful in hands. One button design makes it pretty simple to operate, minimize waste time on changing modes and settings all the time. As a Leupold golf rangefinder, it is equipped with PinHunter and prism Lock functions help determine distance of flag and hazards. With good quality optics, you can have a clear and bright view on distance. Fog mode reduces the influence on fog weathers, it is also water resistant so you can use it in any weather conditions. By pressing down button, you get quick measurement on multiple objects continuously. Instead of vibration on pinning on objects, it beeps as a reminder. In order to prolong battery life, it automatically shuts off in few seconds. 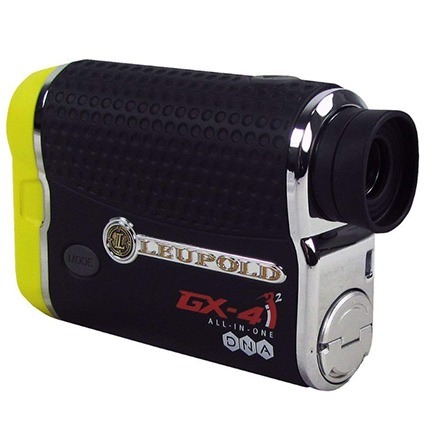 This Leupold rangefinder is super easy to operate, with only one button. If you pay much attention on its lens, you will find it adopting multicoated lens, it minimizes the loss of light and improves brightness of display screen. Digitally Enhanced Accuracy system and advanced infrared laser gives you fast but accurate distance reading. It is also compact and small, fits your pocket perfectly and feels good in hand. With Slope/True Golf Range and Club Selector system, you can customize your unit based on your individual needs. Water proof feature enables you to use it anywhere you want, one single button design makes it simple to use. This laser rangefinder has good quality optics, together with multicoated layers, it provides clear and bright distance reading in just few seconds. PinHunter and Prism Lock Try ranges a pin or fluttering flag from over 300 yards away, it improves accuracy on distance ranging by separating those returns from objects in the background. Digitally Enhanced Accuracy system improves speed and precision on getting distance readings. As a mid range distance device, it is pretty sturdy and durable, can be used for long time. Fog mode enables it to be used in various complex situations, it cuts through weather and provides fast and accurate measurements. Scan mode gives you constantly updated measurement readings by pressing the button for several seconds. Compared with high end and mid range distance devices, this rangefinder is perfect for low budget users to choose. It costs only around $200, but meet basic needs on getting fast and accurate distance reading in few seconds. 6x magnification offers wide and clear view in long distance use, it has PinHunter Laser Technology to eliminate false readings caused by background hazards, when you are measuring objects near bushes and tall trees, it evaluates laser return data and displays distance to the nearest object. Multicoated lens system minimizes loss of light and offers you bright and clear view. However, the display shows on the top thus make it a bit hard to read, and if you are wearing glasses, you may need to take it off for using. Ergonomic shape design makes it perfectly put into your pocket. It works perfectly within 200 yards for golf use. 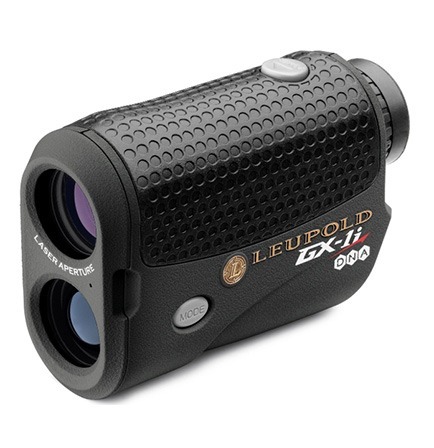 This rangefinder is not listed on our best Leupold rangefinder review because we think its performance and value is not comparable to its price, in other words, it is not so cost effective. It is pretty accurate, read distance pretty fast and accurate, but it picks up everything around objects and thus give false readings. While it is used mainly for bow hunting, you can install on either side of bow, suitable for left handed archers also. It has spot and continuous scan modes, able to get continuous readings on multiple objects. Remote pressure switch, angle compensation system, clear and good optics, all other features work as well as other types. In a word, it works fine but not as good as expected, thus we do not suggest this one to you. 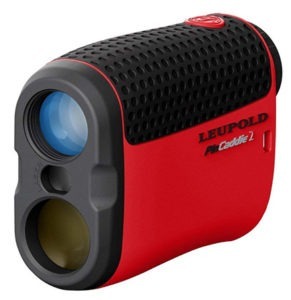 After getting basic knowledge about each top rated best Leupold laser rangefinders on our review, we classified them into different types to save your time on choosing, you can just select through your usage and needs. A best golf laser rangefinder need to get flag stick accurately, it pins on objects precisely. 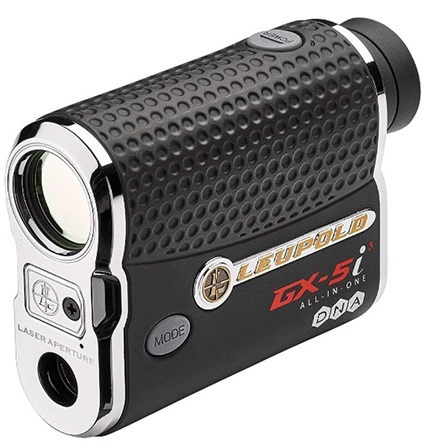 In terms of Leupold golf laser rangefinder, all the GX series are the perfect choice. They are designed pretty easy to operate with one simple button. Apart from GX series rangefinders, PinCaddle2 we have reviewed for you is also perfect for golf use. 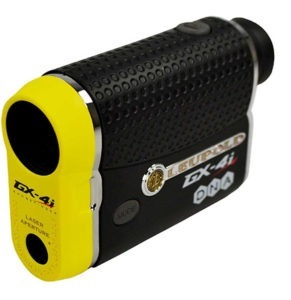 If you want to get more products on best golf laser rangefinder on the market, please read our best golf laser rangefinder reviews. Rangefinder for hunting or bow mounted used must be accurate and fast in distance reading, for long distance hunting, the distance should also be large accordingly. Leupold started with hunting and industry rangefinder at its beginning period of development, therefore, it is more professional on producing bow mounted types. RX series are particularly made for hunting use. Slope system is quite helpful in getting distance in both uphill and downhill playing, it calculates and adjusts horizontal distance and gets angle compensation, which shows on the screen. This technology has been adopted on many rangefinders on the market, for both amateur games or golf course, it can be a perfect helper. But for tournament play, you need to get one without this system because of its rules. 1200 yard can be a perfect yardage for hunting use, no matter for bow hunting or rifle hunting. Several are some types that have long distance range and can be perfect choices on best 1200 yard range finder. 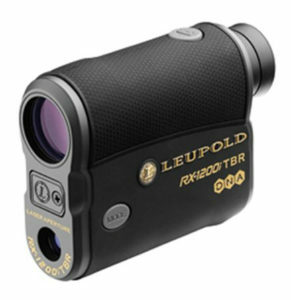 In terms of cheap Leupold rangefinder, or a best price type, we would like to strongly suggest this RX-650 type for you. It is perfect to use as both bowing hunting and archery devices. With its black shape and water&fog resistance features, it can be perfectly used in all weather conditions. One button design make it super easy to operate with single one hand. Though in cheap price, its functions and performance are both in top rated conditions, even comparable to more expensive types. Therefore, it is a worth buying rangefinder and can meet your basic needs for outdoor games. Bushnell is another famous rangefinder brand on the market, because of similar best praised quality and performance between two brands products, many customers get into trouble on which exactly should choose. Therefore, here we would make a brief comparison between the two brands and hope to be helpful. Bushnell laser rangefinders are normally golf types, they show accurate distance reading pretty fast, basically in two seconds. They are design compact and fits pocket perfectly. Most of Bushnell laser rangefinders are functional types, equipped with slope technology, multiple modes such as PinSeeker, First Target Priority mode and JOLT Technology etc. The key useful design them are JOLT technology, they give vibrations when pinning on objects, thus are suitable for olders to use. They are all water resistant but not fog resistant. Price levels of products various from pretty cheap type to relatively expensive types. Customer service is quite satisfying. 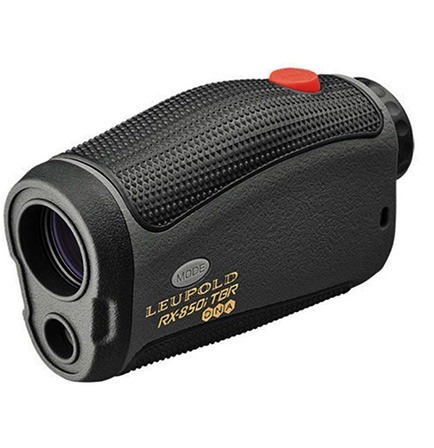 Leupold laser rangefinders, as we have talk pretty much, feature with their fog resistant. They are all fog resist and water resist integrity, which means you can take them anywhere and use in any weather conditions. They are mostly hunting types and golf types. No much functions but meet basic needs of outdoor hunting or golfing. They are one simple button design, easy to operate. Compared with Bushnell, their performance in pinning on object is quite bad, and lack of vibration on lock onto targets. However, its service can be perfect, you will feel so warm for their thoughtful service. Price level of products are also various. In a word, Bushnell rangefinders are better in pinning on objects and are functional, while Leupold rangefinders are excellent in fog resistant, they are perfect to be used for hunting. As for specific diversion between two brands, one needs to compare with specific products. Each product has its own advantages and shortcomings, they are designed to fit different usages and different needs. Therefore, in choosing best rangefinder, yous should take all the factors into consideration. 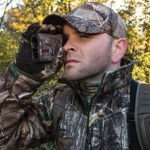 Of course, we have made a Bushnell rangefinder review for you, if you have interest in getting more knowledge about the brand and its top rated products, please feel free to read our review. If you want to get more information on products and updated price details, please feel free to check on Amazon.